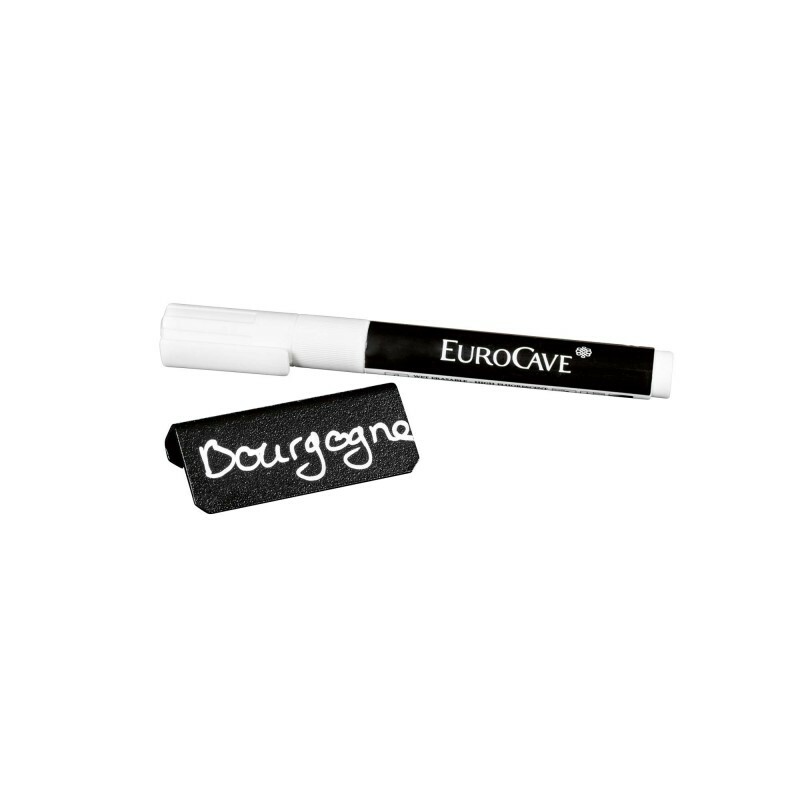 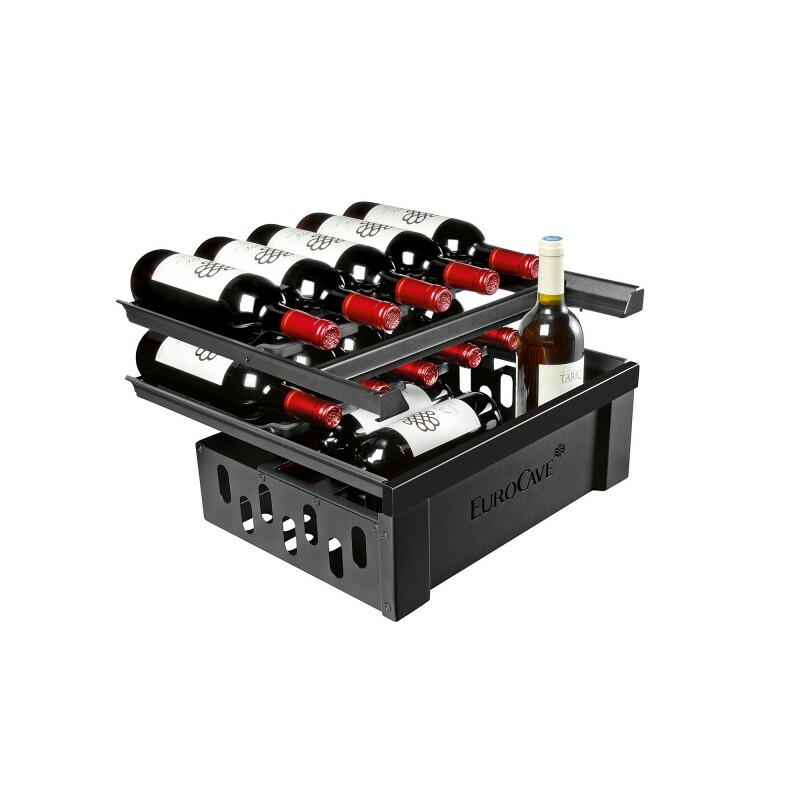 This service option kit with its Glossy black, allow to store up to 16 bottles. 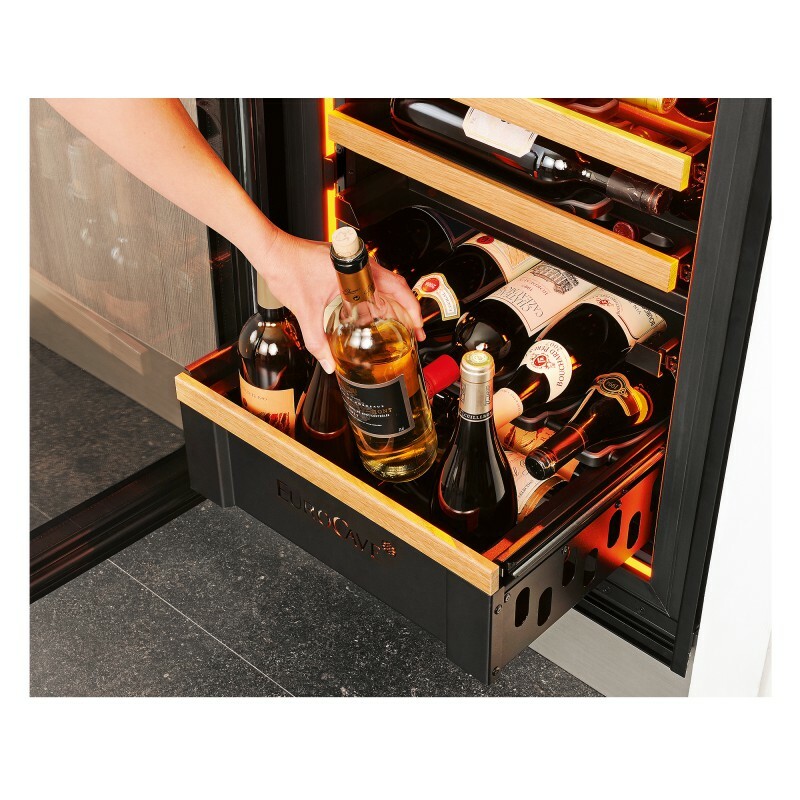 It is made up of a sliding service shelf and a fixed half shelf. 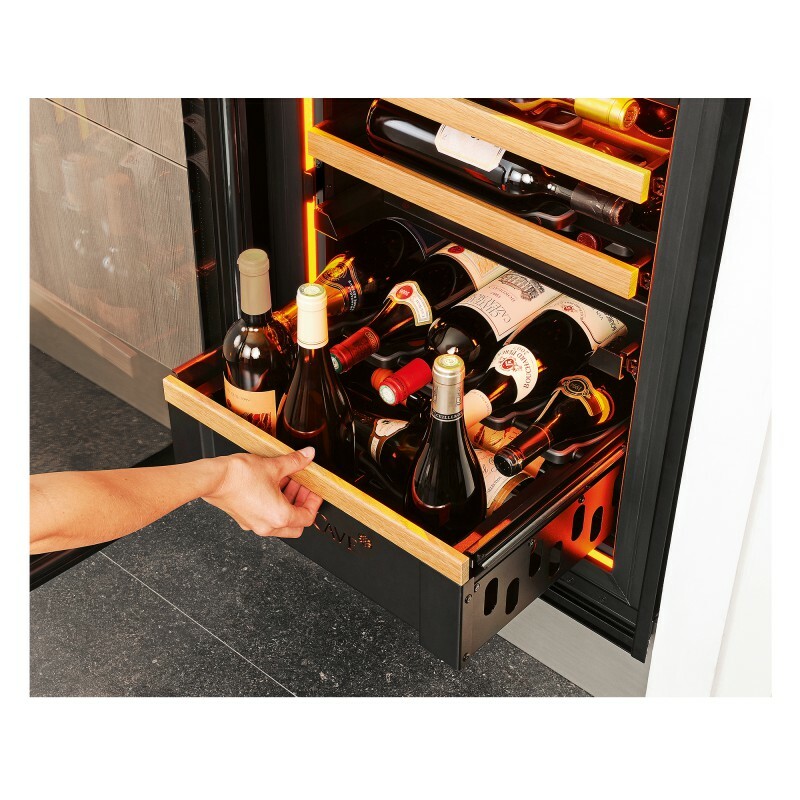 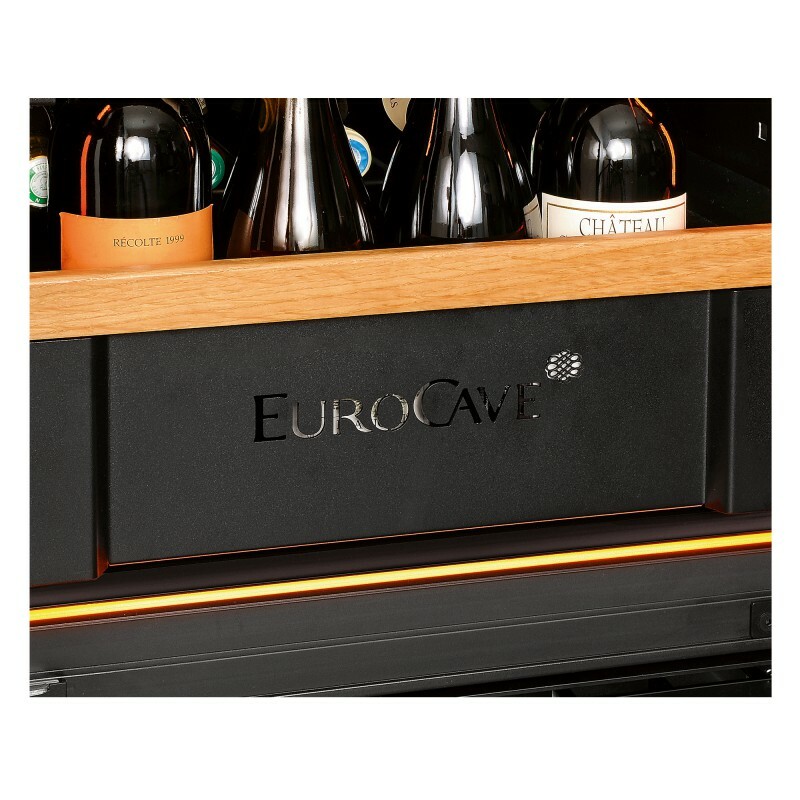 Wine service areas have been designed to store upright 4 opened bottles, whilst ensuring complete stability. 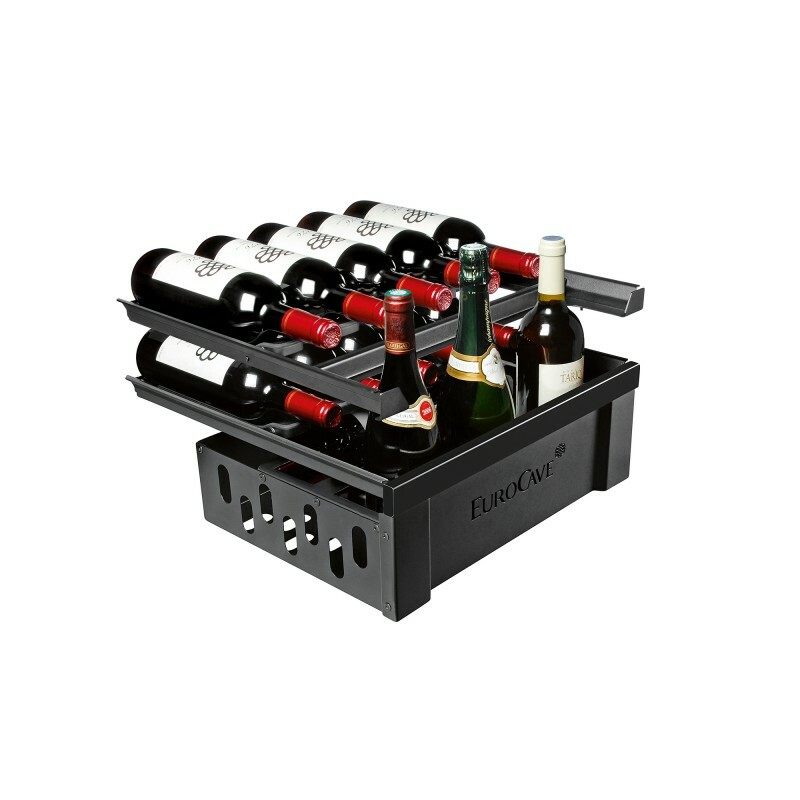 This shelf model contains 6 premium Mains du sommelier models with a reworked aesthetic finish and more user-friendly design with regard to positioning the bottle. 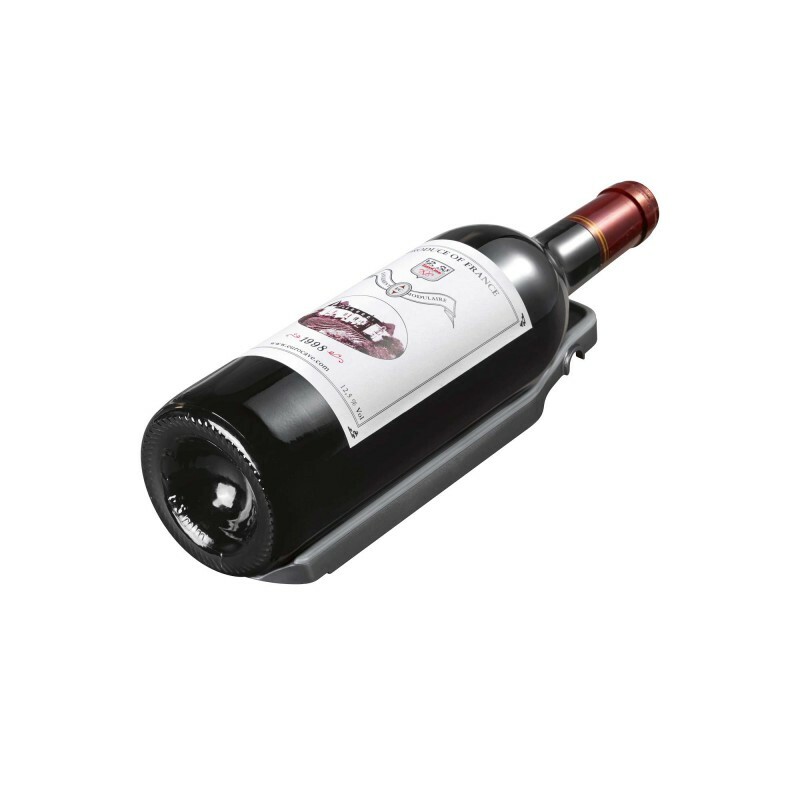 The Main du sommelier supports are detachable and can slide on their support. 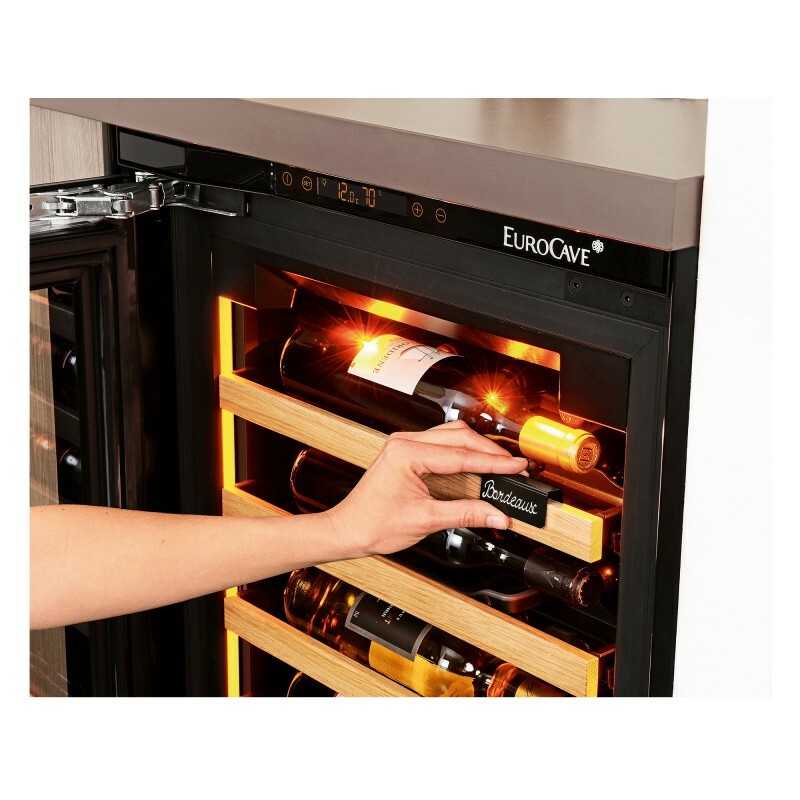 That is why they can hold all types of bottles – from the Bordeaux to the Magnum to the Champagne bottle.